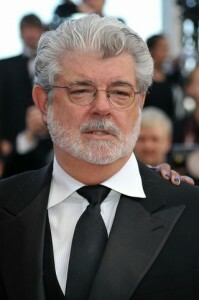 Star Wars creator George Lucas said that he is planning to retire – from making big budget movies. He made this claim after production for his new movie Red Tail ended. George Lucas had a hard time making Red Tail, his World War II epic. The movie wasn’t refused by all of the major studios, forcing Lucas to finance the movie on his own and even publicize it himself. Lucas had such a bad experience that he said that he is not going to do any blockbusters (except for any future Indiana Jones sequels). He said he will just concentrate on smaller, experimental and esoteric movie projects that will be more at home in art house cinemas. Another factor that has turned him off of big budget movies are the constant criticisms he’s getting from fans of his Star Wars movies. The main flak he’s been getting is from the constant tinkering he’s been doing with the movies. He said that he chose the path of independence but only traded the interference of major film studios for the harsh fanboy criticisms. Lucas defended his actions by saying that it’s his movie, and it has his name on it so he has the right to change it to the way he wants it. He said that there’s no point in making any more Star War movies if all he’ll get are the kind of negative comments from fans and pronouncements about what a “terrible person” he is. Lucas’ friend, celebrated director Francis Ford Coppola, said that it’s time for Lucas to “show his other side” now that he’s proven his talents in making commercial movies. The big question is, will Lucas really follow through with his plans? And will this mean he’s finished doing stuff to the Star Wars movies? Star Wars is Lucas’ legacy and he should be able to do whatever he wants with it.